Click on the UUSM ONLINE image above to make an online financial donation to the church from your computer. It will take you to a secure form powered by VANCO Payment Solutions, the company that processes our donations. You will be able to enter your donation details and designate the specific purpose of your donation. PLEASE NOTE: When you click the "Make a Donation" button, you will be taken away from the uusm.org website, to a secure page powered by VANCO Payment Solutions. If it asks you to log in, you will need to create a NEW separate account on that site, and log into it separately from your uusm.org website account. Find out more about Vanco at www.vancopayments.com. A confirmation page will appear after your payment is completed. Questions about making an online pledge payment or donation? Contact us at info@uusm.org. The GivePlus Mobile app, also powered by VANCO Payment Solutions, allows you to make a donation to UUSM on your phone or other mobile device - wherever you are. It's as easy as 1-2-3. Search for "GivePlus Church" to find it quickly. 2. SEARCH FOR "UU COMMUNITY CHURCH"
GivePlus Mobile supports donations via all major debit and/or credit cards, as well as by electronic funds transfer (EFT). If you have a Vanco or GivePlus account or choose to create one, you can log in and select the frequency of the transaction during the donation process. Please note on the check what you want the funds used for. Checks without a notation will be deposited into the General Operating fund. Update your annual pledge by downloading, completing and returning the pledge form found HERE. You can arrange scheduled payments through the Make A Donation link above. DONATE A BRICK ENGRAVED WITH YOUR LOVED ONE'S NAME. Members can donate $500 or more in memory of a loved one, family member, or former church member and have that person's name, date of birth and date of death engraved in a brick which will become part of the Garden of Eternity project. Download and complete the order form and make your donation, or contact Nurit Gordon at admin@uusm.org for more information. Once you've make your donation, please e-mail or deliver your completed form to the Church Office or admin@uusm.org, attention Nurit Gordon. A few years ago UUSM joined with several other UUs throughout the state of California to raise funds for textbooks for inmates who were taking courses through a community college. Although the courses are free, students must pay for textbooks, which are often quite expensive. At UUSM we set a goal of $750, which was exceeded by more than 100 percent, with a final total of over $2,000. We have now received several letters from inmates who received textbooks through the fund, expressing their gratitude for the textbooks and for the opportunity provided to continue their education. Many indicated how they hope to use what they learn to help others. The need for textbooks for student inmates continues, and we are re-launching the campaign to raise funds, this time with a goal of $1,500. As before, the funds are being administered by Faith in Action. At the end of the campaign, UUCCSM will send a check for the total to a foundation set up by the community college; the foundation then provides scholarships (the Unitarian Universalist Textbook Scholarships) for student inmates to be used to pay for textbooks. If you would like to donate to this effort, please click here or on the blue donation button, above, and specify that you would like your donation to go to the "FIA Textbook Fund." UUCCSM now offers a mobile version of our online giving page to make it easy for you to give anytime from your smart phone. 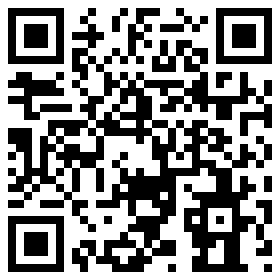 Simply scan the image you see here using your phone’s Quick Response (QR) code reader! For other payment options or to ask a question, call Nancy Thompson, Financial Assistant, at (310) 829-5436 x102.